A smart home can increase your safety and convenience to help you enjoy it! It’s a new year and believe it or not, spring is right around the corner. 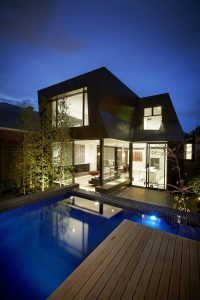 Now is the time for planning those 2019 home improvements you’ve been thinking about. 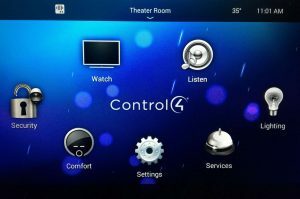 Installing smart home features is not only a great investment and wonderful convenience; it can give you greater peace of mind. 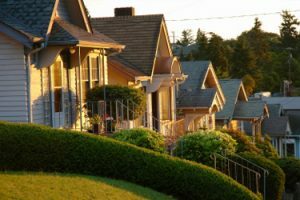 Traveling– If you are a person that travels a lot – either job related or if you just enjoy exploring on the weekends — you can check on your property and valuables anytime you like. Furthermore, it allows you to let family/neighbors into your home to check on plants, pets and/or elderly parents you might have living with you. Maybe you have children that are at the age where you know they will be okay staying at home alone but just want the peace of mind and convenience of being able to check and monitor what is happening while your away. Or even let them in when they lock themselves out (as kids often do). Again, it is also a great way to handle the logistics of senior care or infant babysitting, freeing you up to do what you need to do. 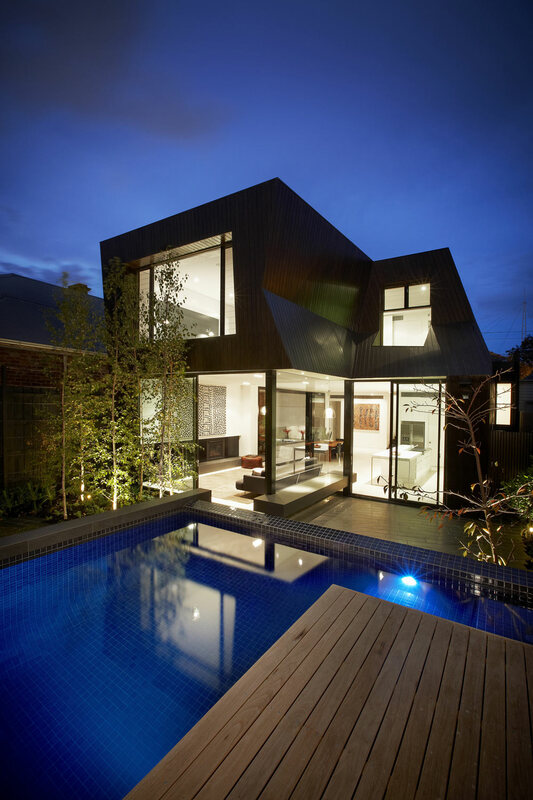 Beyond providing essential home security, smart home system can also save you time and money. 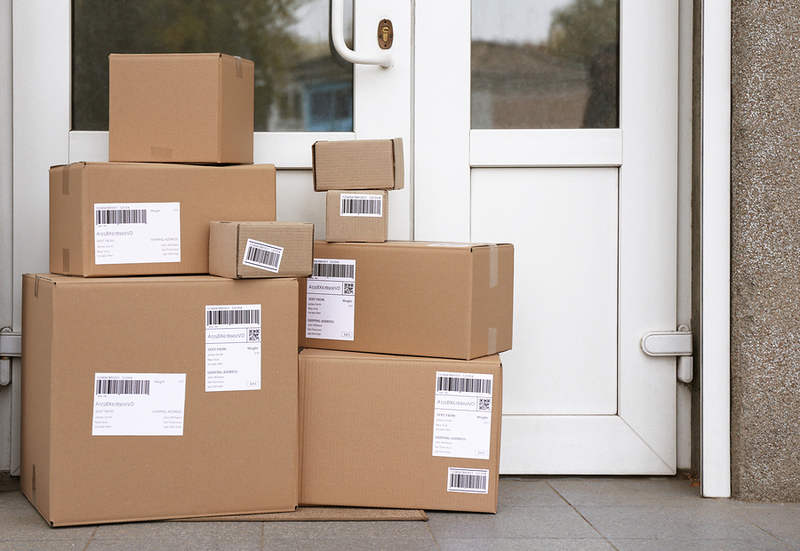 Say goodbye to wasting PTO being stuck at home during one of those infamous “anytime between noon and 5 pm” delivery windows – just have us add a Skybell video doorbell to your home security system. When you have smart door locks, you can let people in to drop off deliveries or make home updates from your smartphone app. 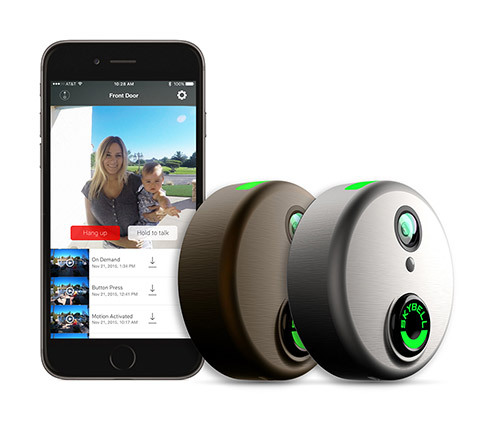 An exterior door camera lets you see exactly who is arriving, indoor monitors watch the progress while they are in your home, so you know everything that is happening. In addition, a Smart Home can start saving you money immediately. Your system can turn lights on and off and smart thermostat can help automate your temperature settings saving energy while making sure your home is comfortable when you arrive. You’ll be able to remotely access and control the thermostat, set up schedules, and receive temperature alerts, all through the app on your smartphone or tablet. Flexibility, with a Smart Home from Secur-Tek, Inc. – you can start with the level of features you would like and based upon your timeframes and resources, build on as you go! As you can see, installing a Smart Home in 2019 can make sense from an economic, safety and convenience perspective. 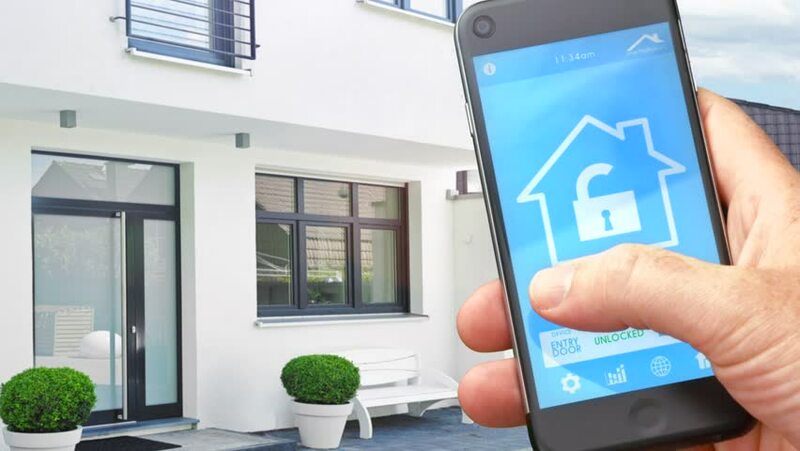 At Secur-Tek Inc., we have highly trained, reliable and friendly people to help you choose the features and level of Smart Home that is right for you. If you would like to learn more about the Smart Home features offered by Secur-Tek, Inc. give us a call or fill out the form below. Cellular Communicator – What Is It and Do I Need One? Monitored alarm systems need to communicate alarm signals to a monitoring response center 24/7. Traditionally this was done with a standard wire line home phone. However, over the past several years, cellular technology has progressed to the point where it is more secure than that of the traditional wire line. Additionally, it is more reliable than a digital Internet phone service that requires constant power and is susceptible to network outages and router rests. Cellular monitoring works by installing a “cellular chip” or “module” into the Control Panel of the alarm system. This cellular device acts as the communicator between your alarm system and the monitoring station – that is why it is called a cellular communicator. Cellular communicators function much like a cell phone that is specifically dedicated to your security system by communicating via cellular network data channels. 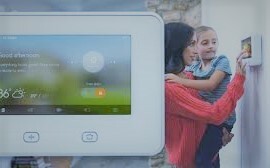 In essence, the cellular communicator installed into the Control Panel of your alarm system acts as a connection to the Internet or “outside world”. Because of this, anytime you send a signal or command from your phone or other devices, it uses the cellular service to communicate to your alarm system, prompting it to do something like arm or disarm. Interactive monitoring allows you to communicate commands to your alarm system no matter where you are. Cellular communicators are dedicated solely to the security system, so they are not shared with any other service. If you get rid of your landline, you will need a cellular communicator. If you decide to change digital phone carriers, you will need to reset and reconnect your security system, which requires a service visit and charge from Secur-Tek, Inc. 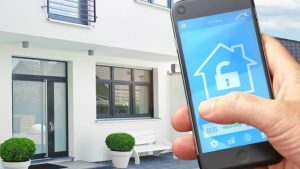 So if you are interested in higher security reliability and the ease of controlling parts of your security system from your smartphone, a cellular communicator may be the right solution for you. Give us a call and we can recommend your best security options. 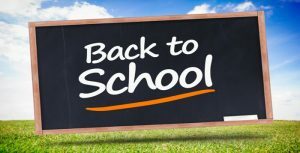 School is starting up – is your child arriving home alone? 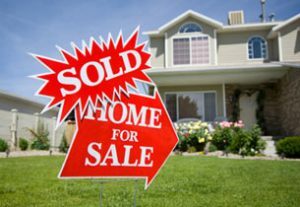 If so, check out our home safety checklist! Many kids stay by themselves after school; it’s important for parents to feel that their child is safe and secure when they are home alone. To help you and your child prepare so you can both feel better about it, we have compiled the following checklist. This comprehensive checklist has been compiled from many sources, including The Red Cross, Parent & Child Magazine, and Scholastic.com. Being prepared is key to safety and feeling secure. Take the time to review and implement this plan with your child for a safer, happier school year! Have an emergency plan. Practice an emergency plan with your child so they know what to do in case of fire, injury, or other emergencies. Write the plan down and make sure they know where it is. Even if you believe it to be common sense, review the sound of the alarm and what to do if it goes off. S/he should get out of the house immediately and then call 911 from a neighbor’s house. Review the emergency exits by drawing a map that outlines the best pathways to safety from each room in the house. Post relevant phone numbers. Have numbers for a trusted neighbor, your cell and work number and other emergency numbers in a prominent location. If children have approved access to smart phones or tablets, download the free Red Cross First Aid App so they’ll have instant access to expert advice for everyday emergencies. Place flashlights in assessable locations. Let children know where the flashlights are. Make sure that the batteries are fresh, and that the child knows how to use them. Inspect your home thoroughly for any safety risks. 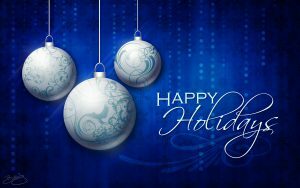 Make sure that all of the smoke detectors are functioning properly. Remove or safely store in locked areas dangerous items like guns, knives, hand tools, power tools, razor blades, scissors, ammunition and other objects that can cause injury. Make sure potential poisons like detergents, polishes, pesticides, lighter fluid and lamp oils are stored in locked cabinets or out of the reach of children. Make sure medicine is kept in a locked storage place or out of reach. Install safety covers on all unused electrical outlets. Always check in. Make it a rule that your child calls a parent (or another adult that you designate) or leaves you a message as soon as s/he gets home. This can be the first step in a daily routine that includes homework, a snack, and some downtime. Make the phone (almost) off-limits. Your child shouldn’t answer the phone for just anyone, so set up guidelines. If you have a land line with caller ID, tell her not to answer the phone if she doesn’t recognize the name or number. If you don’t have caller ID, tell him that she should let every call go to voice mail. If you child is old enough to have her own cell phone, use the same guidelines. Don’t leave the house. 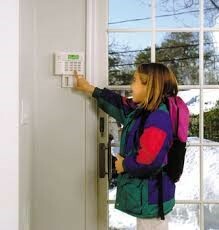 Your child should not leave the house unattended unless cleared with you first or there is an emergency such as a fire. Make sure that he is aware of the risks of leaving home. Take the same way home. Have them take the same route to and from school every day. If your child walks, review each street that she uses. If she takes a school bus, make sure that she takes it every day, even if she is offered a ride from a friend. Knowing her route allows you to predict how long it will take her to arrive home, and to trace her steps if there is ever a problem. Not to talk about being home alone in public or on social media. 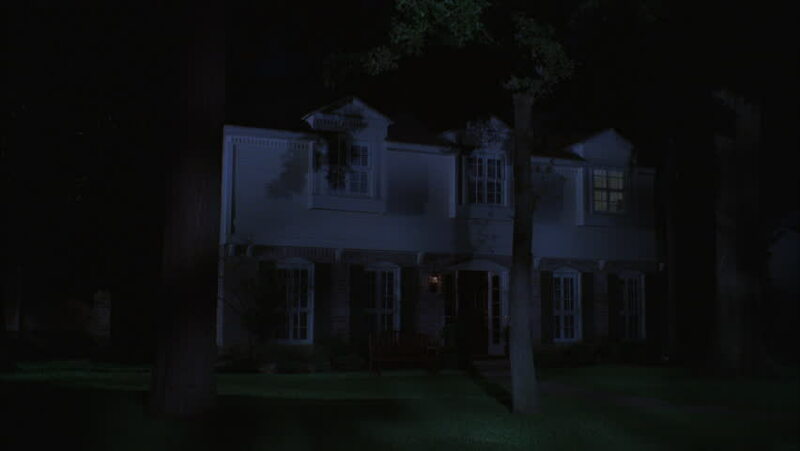 Lock the doors; if the home has an electronic security system, children should learn how to turn it on and have it on when home alone for extra protection. Never open the door to delivery people or service representatives. 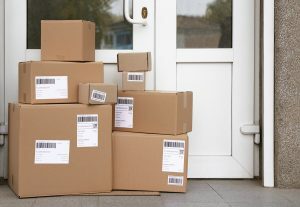 Ask delivery people to leave the package at the door or tell them to come back at a nother time. Service representatives, such as a TV cable installer, should have an appointment when an adult is at home. Lock the doors. If the home has an electronic security system, children should learn how to turn it on and have it on when home alone for extra protection. Security systems with remote access, like Honeywell Total Connect, allow parents to be notified and view activity in the interior or exterior of their home for extra peace of mind. Keep them busy. Although a child needs some downtime to rest and rejuvenate, your child will be less likely to get into­ trouble if he’s occupied with homework, practicing music, and chores. Review what they have accomplished and give them feedback when you get home. Reinforcement is key to getting things done! Practice first aid. Keep a first aid kit handy and review it with your child. Help her distinguish between a true emergency and a minor one that she can handle herself. Consider enrolling older children in an online Red Cross babysitting course so they can learn first aid skills and how to care for younger family members. Babysitting Basics is geared towards children aged 11-15 while Advanced Child Care Training is well-suited for those aged 16 and up. We at Secur-Tek, Inc hope this checklist is helpful and wish you and your family a safe and productive school year. If you have any questions or needs concerning your home security or automation needs please give us a call!